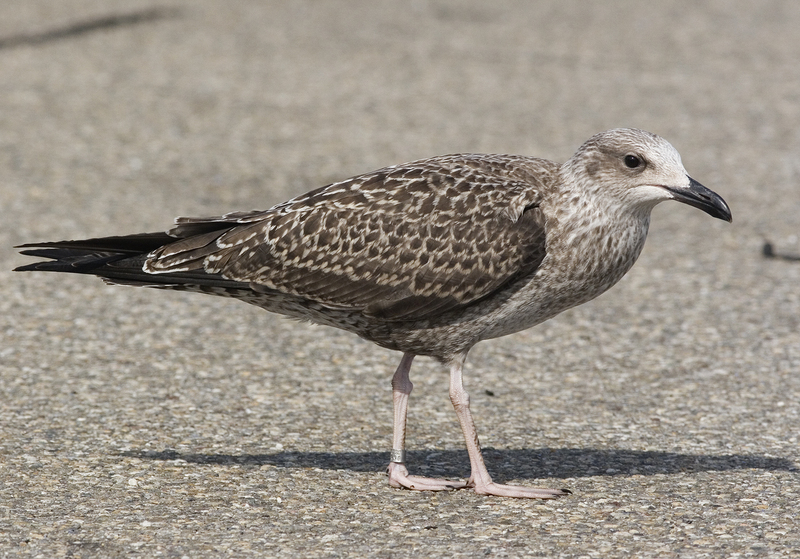 Lesser Black-backed Gull (graellsii) NLA 5.426.690 1CY, August 25 2011, IJmuiden, the Netherlands. 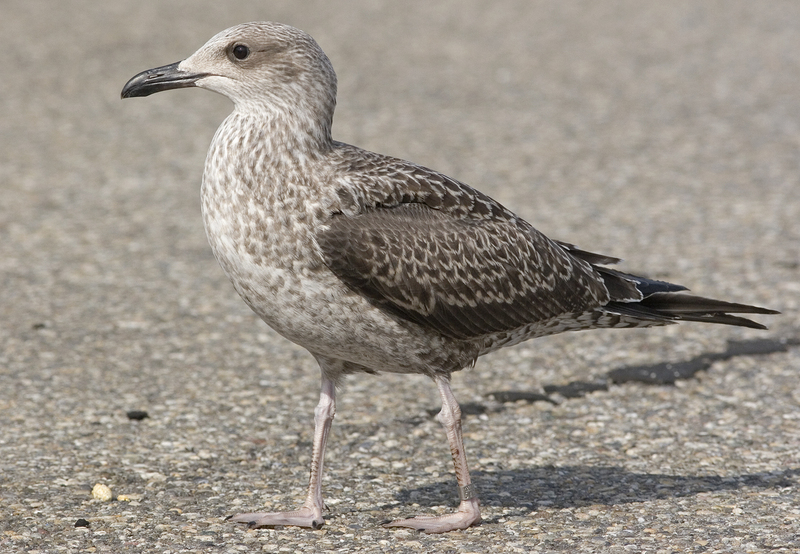 Bird from IJmuiden, the Netherlands, ringed as pullus on 11 July 2011. Completely juvenile.